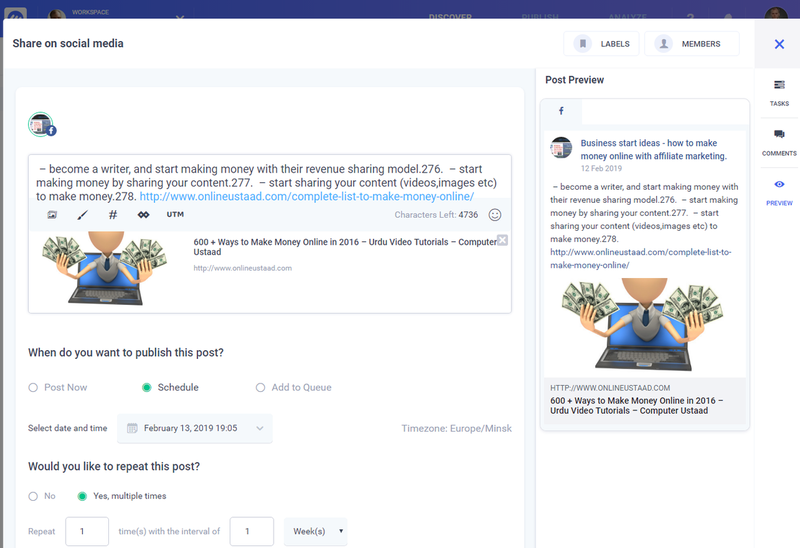 →How to Promote your New Facebook Group using Instagram in 2019. How to Promote your New Facebook Group using Instagram in 2019. 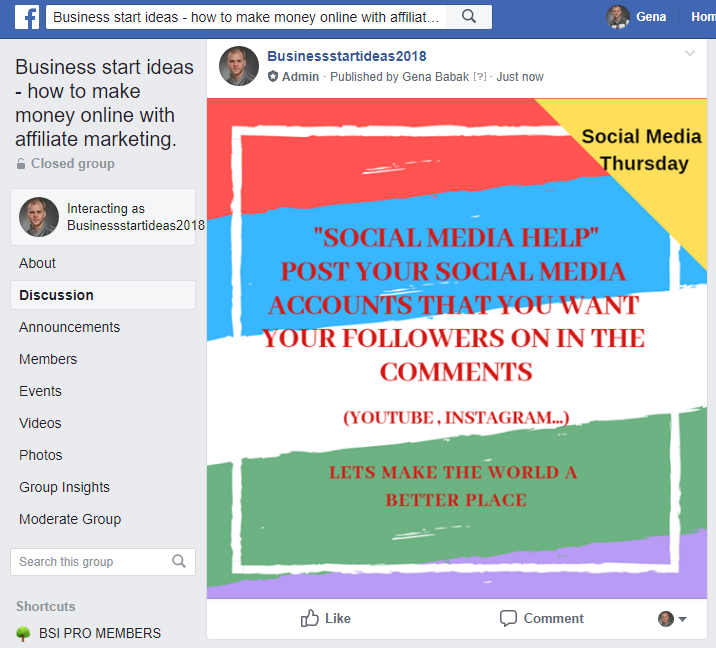 Read my article to learn How to Promote your New Facebook Group using Instagram in 2019. This method allows to get 400 to 600 new members for your Facebook group PER DAY! 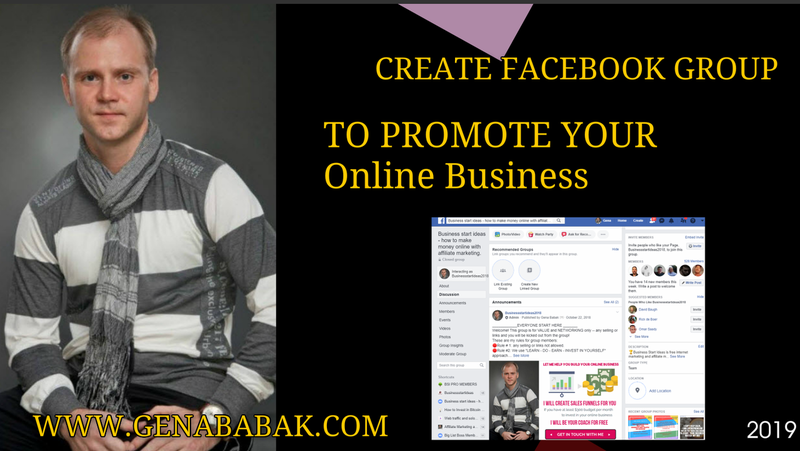 The best way how you can make sales for your business using Facebook is - create personal closed Facebook Group to promote your business on Facebook! Watch how sales are coming ! How to Promote your New Facebook Group ? 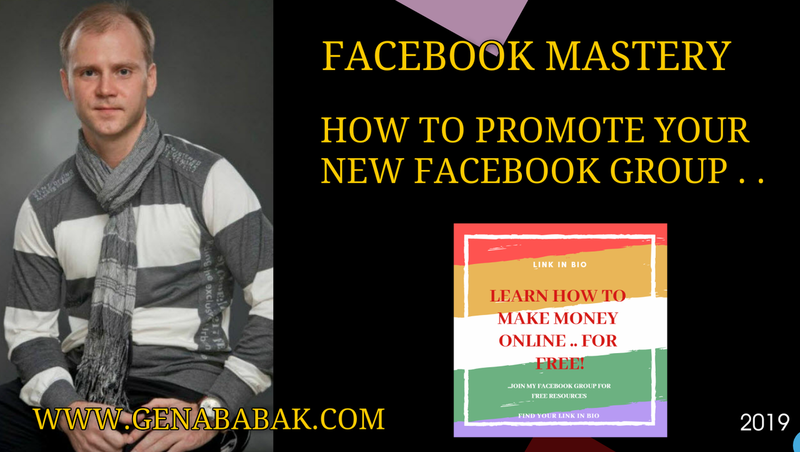 But how to attract new members to your new Facebook group? 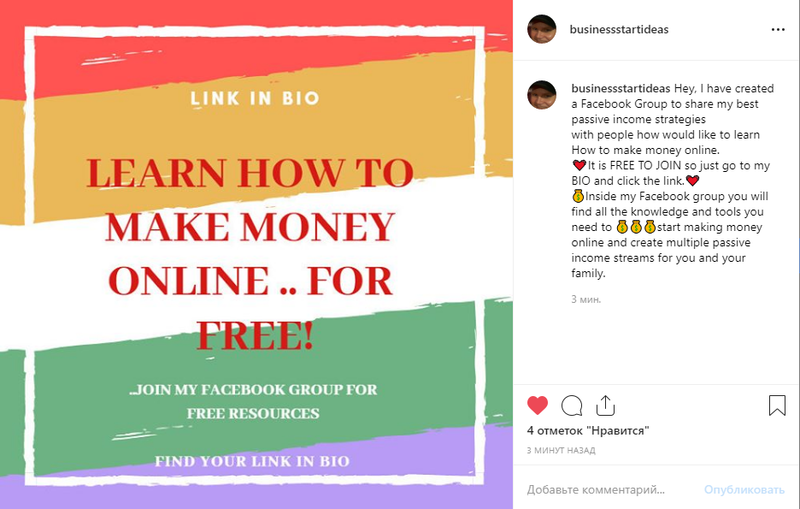 Look no further - in this article I will share with you simple strategy how to grow your Facebook group fast using Instagram. This method will help you boost your Facebook group! get 400 to 600 new members to your facebook group in 24 h! Our goal will be to get 400 to 600 new members to our Facebook group in 24 H. And this is how we are going to do this, guys. As the first step we will need to get in touch with Instagram Influencers. 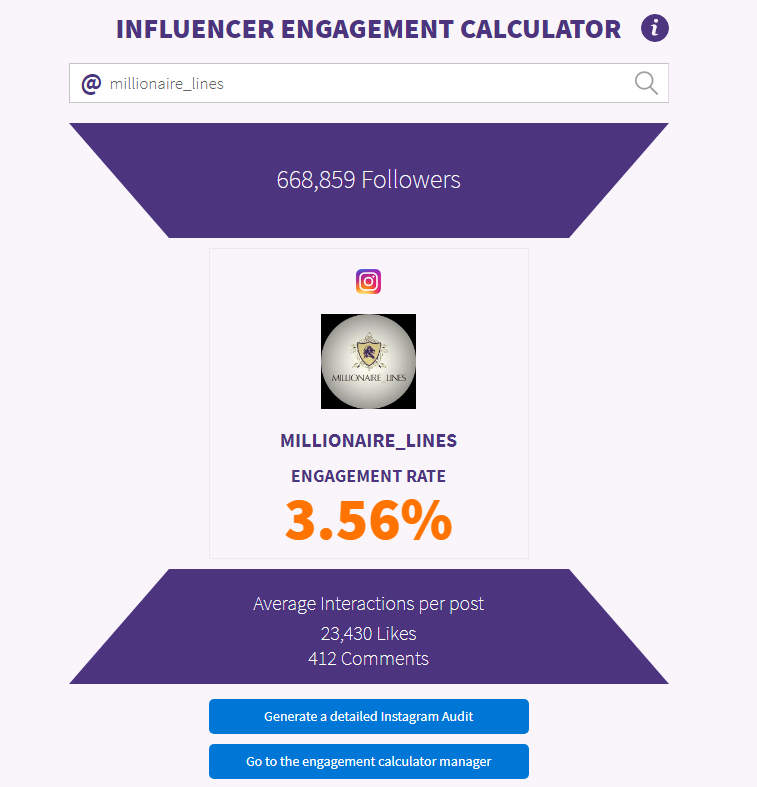 For this you may use your phone - go to your Instagram account and type "billionaire" or "Make money" or "Millionaire"and will see a lot of good and popular Instagram accounts with a lots if followers. 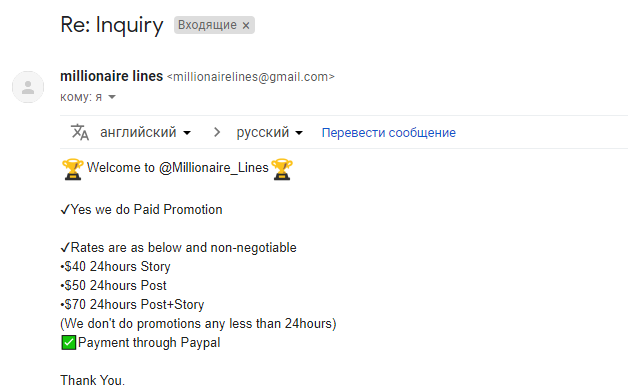 We are interested in accounts with at least 200'000 followers. 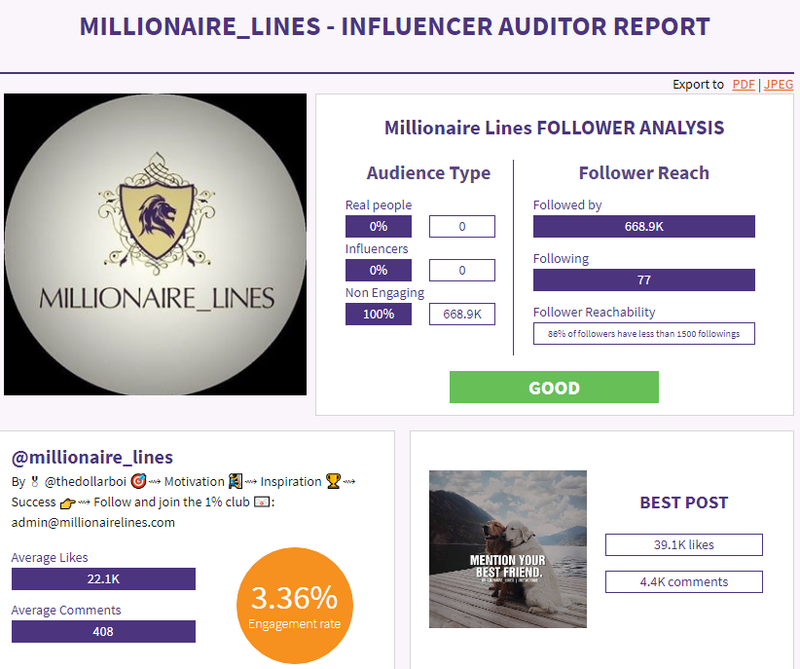 You can even order free audit to see the quality of the account you want to guest post to. 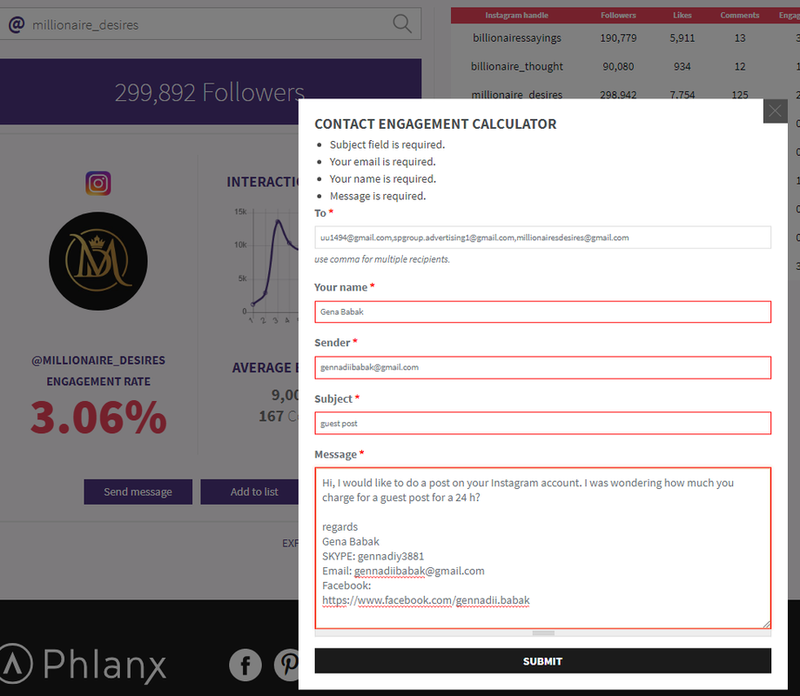 So I simply add some of the best Instagram accounts to my Engagement calculator manager and now I can send them all my letter - offer like it is shown below. We are going to ask for a guest post - in other words we want administrator to post our image on his Instagram account and our promo link to his BIO for 24 H.
"Hi, I would like to do a post on your Instagram account. 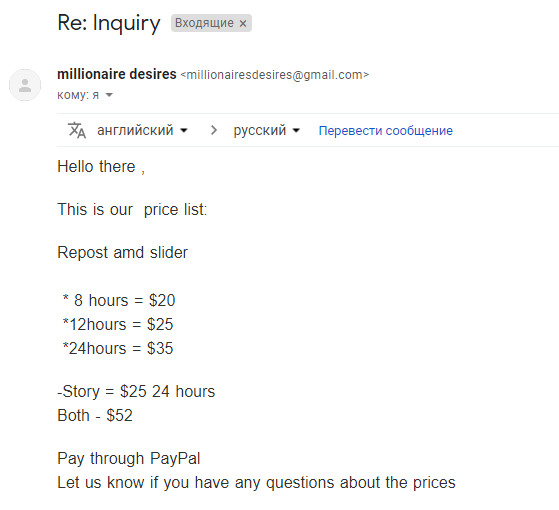 I was wondering how much you charge for a guest post for a 24 h. "
For account with 200'000 followers it can be something like $30 a day. And from this one post you may expect somewhere between 400 to 600 new people into your Facebook group. 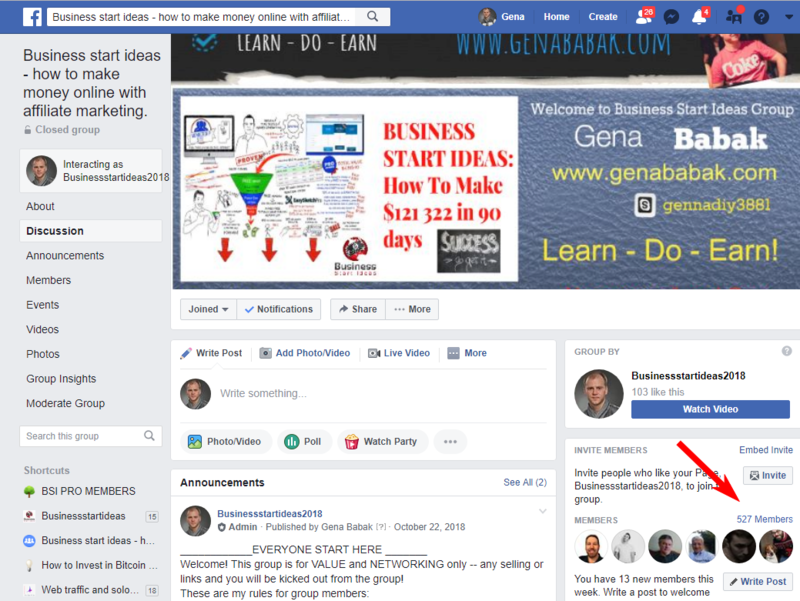 "Hey, I have created a Facebook Group to share my best passive income strategies with people how would like to learn How to make money online. It is FREE TO JOIN so just go to my BIO and click the link. 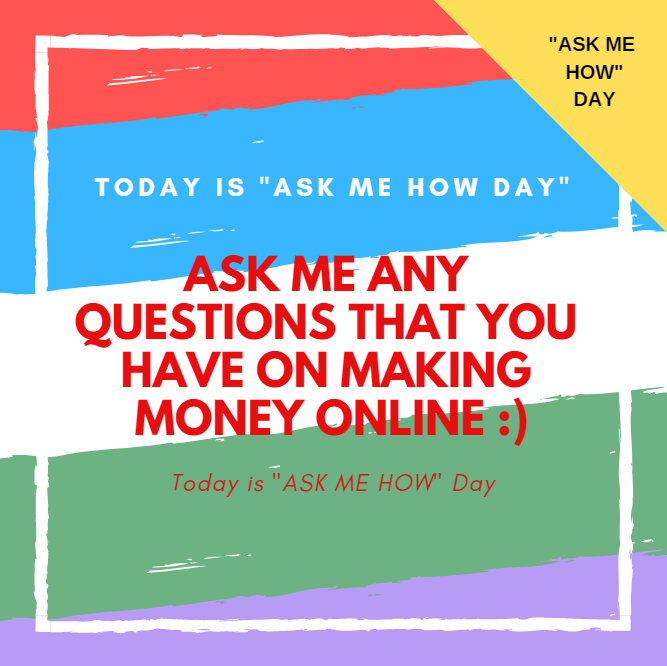 Inside my Facebook group you will find all the knowledge and tools you need to start making money online and create multiple passive income streams for you and your family." 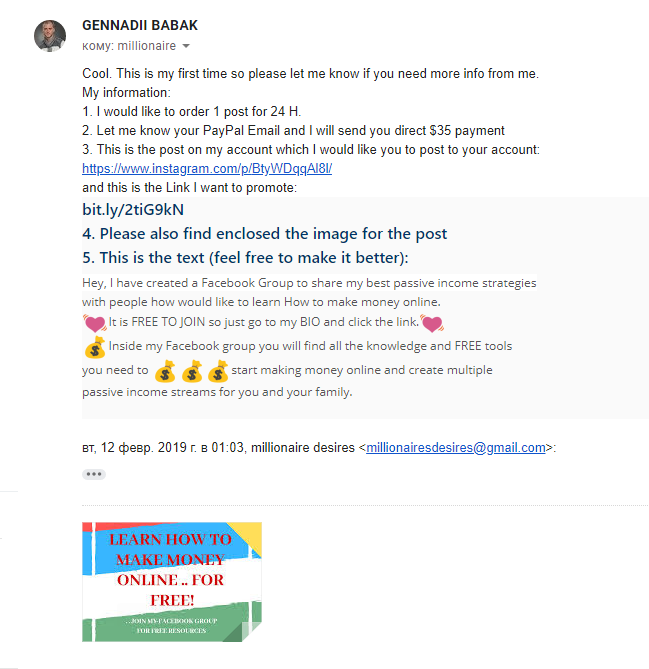 Next you give your link to the Instagram account owner and he puts it in his Bio for 24 h. Plus you will need to create the Image for this post. 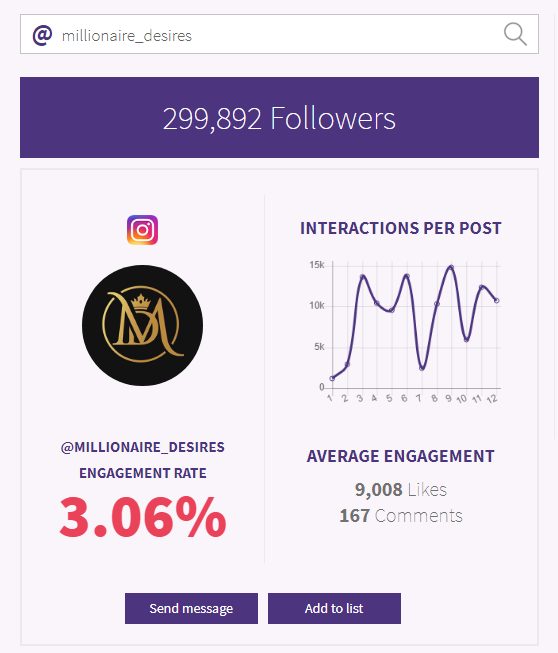 This is reply I received from one of the Instagram Influencers - as you can see below the account has 300000 followers and good engagement rate . Below you see reply from another guy. Next you will deen to create your Image for the Instagram post. Good idea also to use hashtags for your Instagram posts for the future. 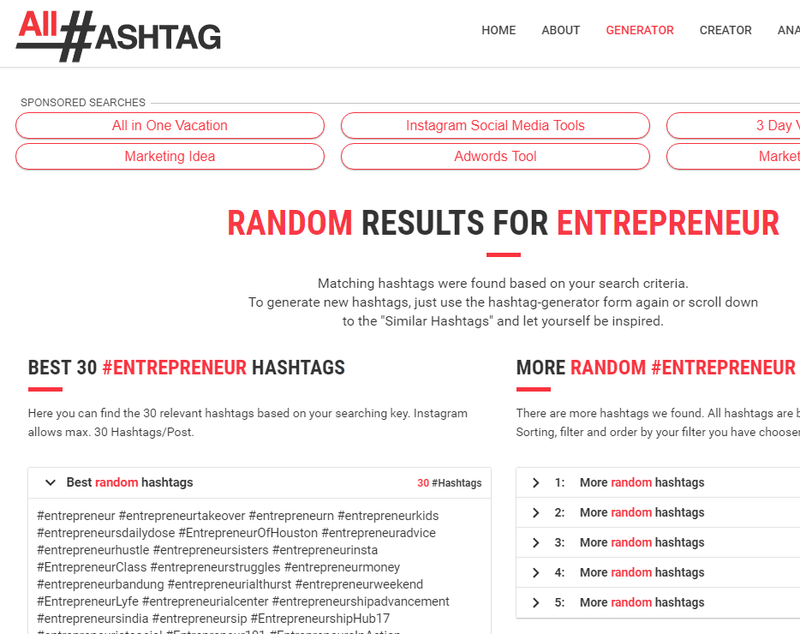 To find best hashtags I use All-hashtags.com site. 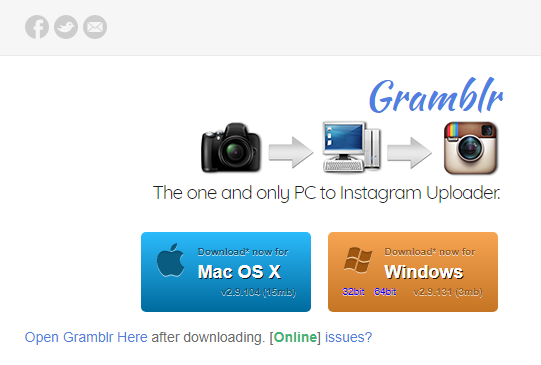 You may use Gramblr to post to your Instagram account from your PC desktop if you do not like to do it form your phone. This is how it works - this is how you can get 400 to 600 new people to your Facebook make money online group. 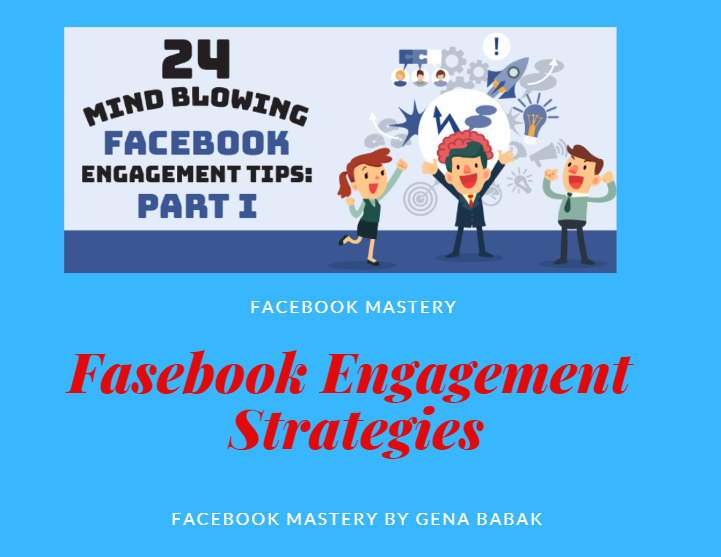 use MY FREE strategies to INCREASE YOUR FACEBOOK GROUP ENGAGEMENT ! To make this group working for you and your business you will need to constantly working on engagement using different strategies. 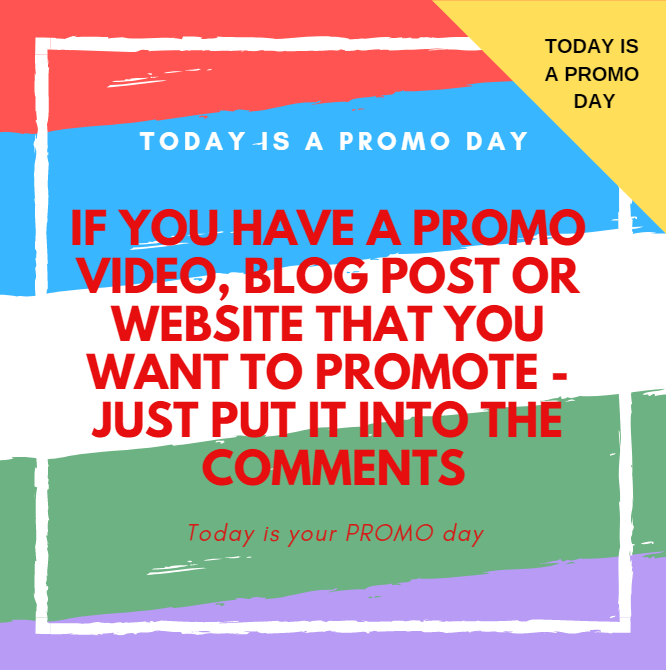 And for beginning you may start from posting viral content (for your niche) - some good engaging stuff to your group to create engagement with your new group members. I love ContentStudio software! Why? 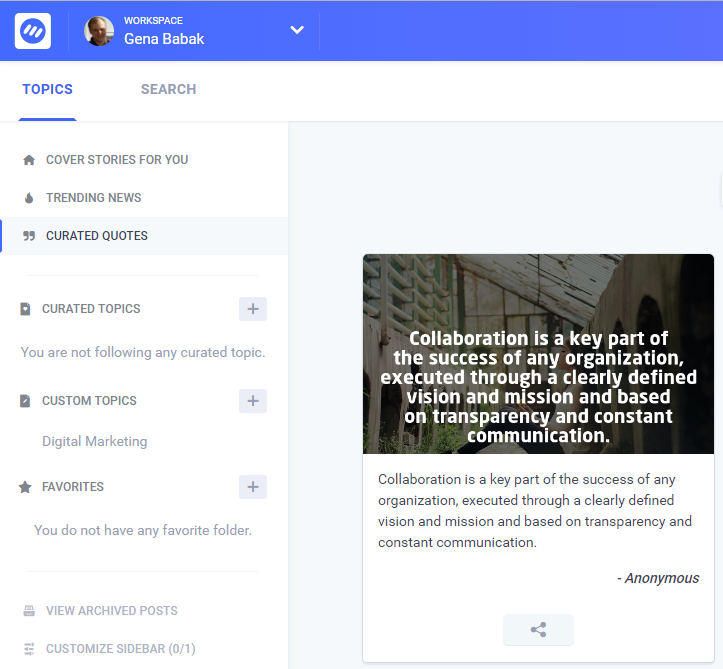 Content Studio allows you Discover, Monitor & Share Engaging Content! 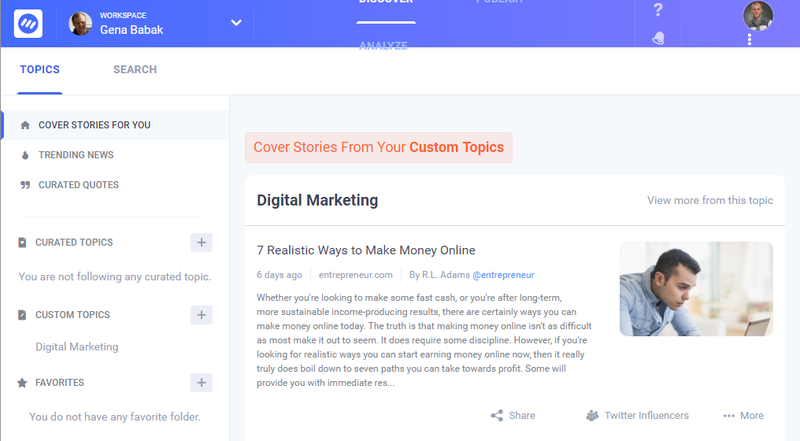 Get trending content before it’s trending and fill your social channels or blogs with interesting articles, videos, images, GIFs and quotes – in any industry or niche! 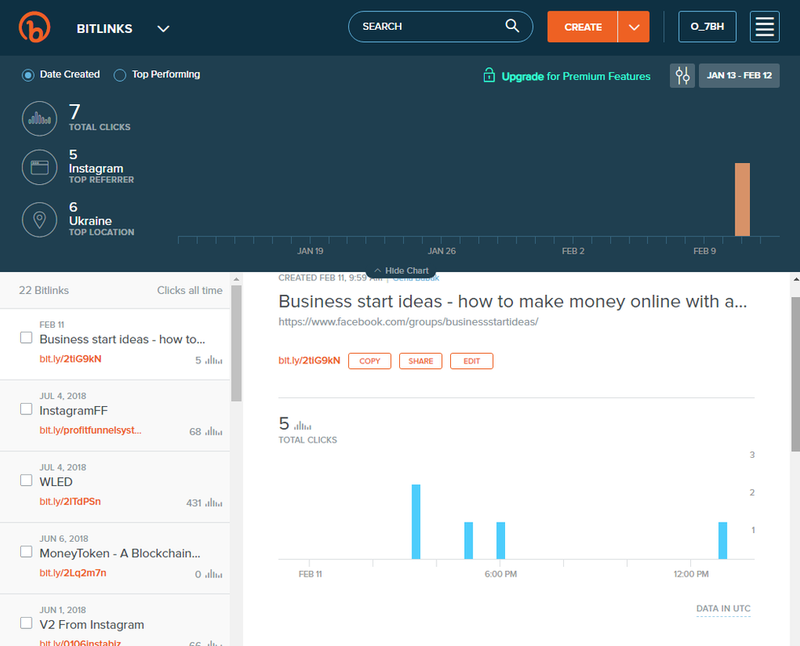 I use this software to find viral content on Make money online posts for my Facebook group. You also need to allow posts from your group members to create engagement. 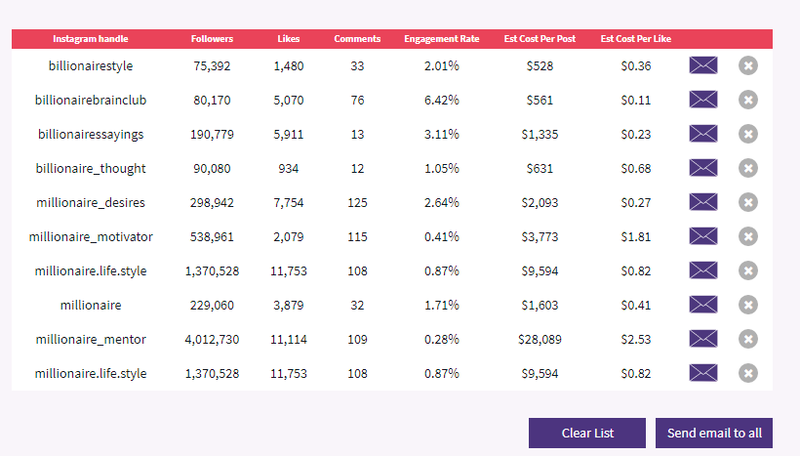 This is how you can do it - find some of my engagement post images below.